People should get closer to the work of others in order to better understand what is going on. They can do this by moving their feet, moving their desk, or moving their microphone. Decreasing the distance between yourself and others helps increase communication and creativity. A great exercise for a better understanding of people is to capture what you know about them in personal maps. A lot of the time we work next to each other but don’t really know each other. Learning a bit about someone’s life history and even private life can go a long way in creating empathy. 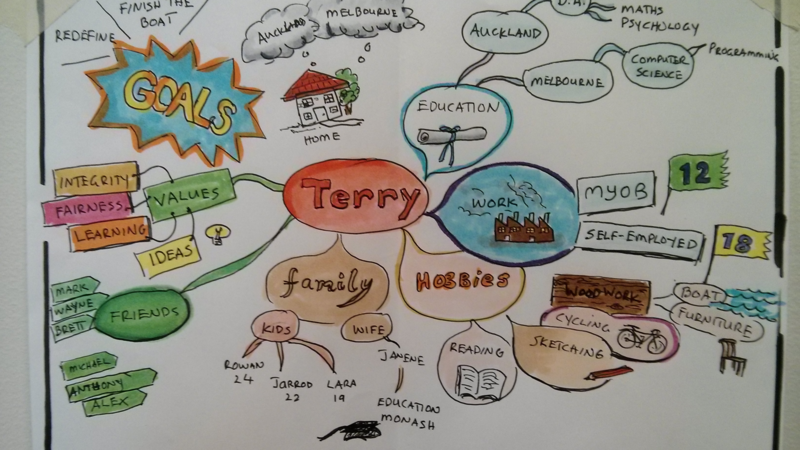 Personal Maps branch off from the tradition of Mind Maps to tell your own story. 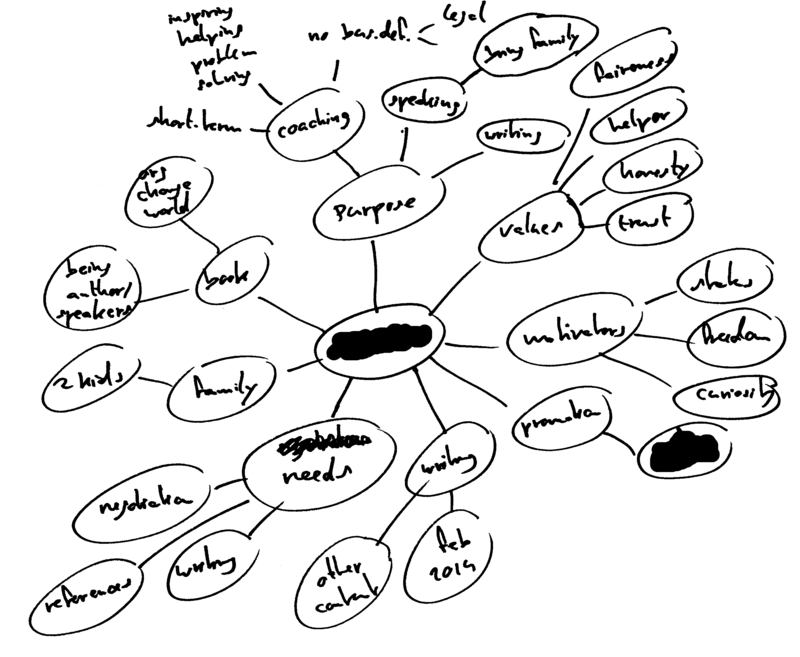 Mind mapping is a simple but powerful technique that allows anyone who can hold a pen to visualize the relationships between concepts. How does it work? Start by taking an empty sheet of paper or a blank screen on your tablet computer and writing the persona’s name in the middle. Then write categories of interest around your colleague’s name, such as home, education, work, hobbies, family, friends, goals and values. Then expand the mind map by adding the relevant things things you know about this person. When you start creating personal maps for your team members, you might be surprised at how little you know about them, so organize some face-time and ask a few interesting questions. The personal maps exercise is a great icebreaker in workshops. 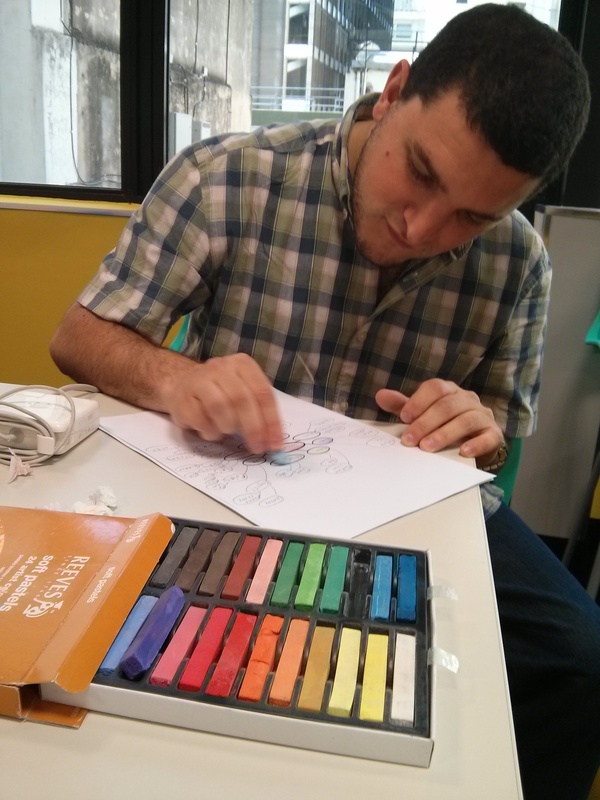 While people arrive, get them started on drawing their own. Have colorful pens, markers, or pencils available. Some people can better express themselves with colors. Put all personal maps of people on a wall and try to find similarities and differences.